Wondering how video can support your sales process? Looking for tips on how to use video in your marketing funnel? To explore how video can turn leads into customers, I interview Marcus Sheridan. In this episode, I interview Marcus Sheridan, an amazing keynote speaker. Formerly known as The Sales Lion, Marcus is a partner at IMPACT, a digital sales and marketing agency. He also wrote the book They Ask You Answer and co-hosts The Hubcast Podcast. You’ll discover how to create four types of video that are essential to a company’s online sales process. Marcus explains the importance of involving your sales team in your videos and how to help them shine on-camera. How to Use Video Content to Sell featuring insights from Marcus Sheridan on the Social Media Marketing Podcast. He filmed the video in his office at night. Because he lit the video with two big work-construction lights, Marcus says he looked too pale, like he’d been at the bottom of a lake for 3 days. Still, the video was a huge victory. When Marcus uploaded his first YouTube video and hit Publish, he realized it was a special medium. Because people have become visual learners, Marcus’ philosophy at River Pools was (and continues to be) “Unless we show it, it doesn’t exist.” And today, the River Pools YouTube channel has a few million views. Marcus says that when similar businesses in the marketplace talk about what makes their company special, they all tend to say the same thing. So showing (instead of telling) prospects what you can do helps your business stand out. With the importance of showing your work in mind, The Sales Lion started teaching companies how to develop a culture of in-house video production. I ask about Marcus’ show The Balance, which he produced for about a year. Marcus says there’s so much content about the hustle and grind, and some people find it inspiring, whereas others find it depressing and demotivating. Marcus wanted The Balance to emphasize that you can crush it personally and professionally. Creating the show was fun and taught him a lot about the documentary process. That learning curve was messy. Although people tend to aim for perfection, video is humbling. It’s messy. Because businesses will need to become media companies whether they like it or not, the time to start embracing that messy process is now. It will help you become comfortable behind and in front of the camera, as well as with the process of uploading and distributing video. By 2019, 80% of the content consumed online will be video. What percentage of your website is video and visual content? Because everyone is becoming a media company, you ought to start thinking of yourself as a one-person shop. Listen to the show to hear my thoughts about social media video trends in the next 3 years. Over the last 8 years, Marcus hears most often not from business owners who need help, but from frustrated marketers. They know what would work and see the trends, but their team (the CEO, sales manager, whomever) doesn’t buy in. Now they’re having this issue getting buy-in for video. Almost every single time, good ideas are rejected because the decision-makers aren’t educated about marketing and sales. Decision-makers don’t attend conferences like Social Media Marketing World or Inbound, nor have they looked at the trends. They don’t know what’s possible. So when you want to try something new with social media marketing, your first step is getting everybody on the same page and getting their buy-in. When companies start doing video, they mistakenly consider it a marketing initiative. However, video is a sales initiative. In fact, on-camera, the majority of the subject matter experts should be from your sales, leadership, business development, or customer-facing team. 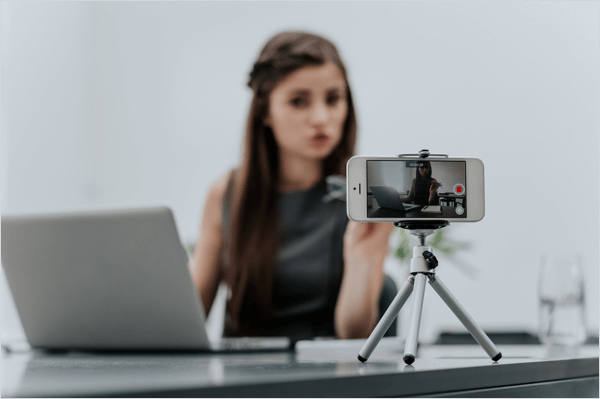 A quick way to determine if you’re on the right track is to see if the sales team could use the video to facilitate the sales process and close more deals. If you create a video and a salesperson looks at it and says, “It’s nothing to me. It has no value for me,” then you haven’t done much. (The video might get a few likes and views.) However, to create a culture of video, you need success that shows revenue. Get your sales team on your side. That’s where buy-in from the whole organization starts. Listen to the show to hear Marcus discuss how marketers use their yearly education budget. The 80% Video. The most important video you can create is the “80% video,” in which 80% of the questions during a first-time sales call are the same. This video addresses these questions. With this video, you eliminate these questions before that first appointment and prospects get to know you and your company doctrine before you introduce yourself. 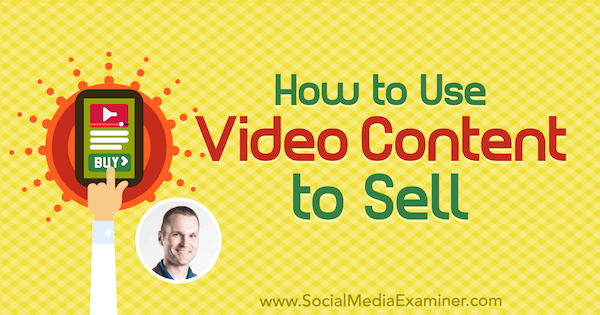 When you integrate this video into your sales process, it’s a game-changer. To start creating this video, meet with your sales team to brainstorm the top questions. Next, create a video for each of those questions. So if you have seven questions, make seven videos. After you’ve done that, mash up the most salient points from these videos to make your 80% video. When it’s all done, you’ll have a video that addresses key customer questions and helps them begin to overcome their objections to converting. The 80% video may not be short. Marcus says there’s a terrible myth that short videos are the only way to go, and it’s outrageously false. Marcus points to his swimming pool company as an example. When someone will be meeting with a salesperson about possibly signing a contract for a $100,000 or $150,000 pool, that person will certainly watch a video longer than 90 seconds to answer their major questions. In fact, on average, a River Pools’ customer watches more than 20 minutes of video. Bio Videos for Your Sales Team. It’s all about sales. Everybody’s number-one overlooked email marketing opportunity is their email signature. Each day, most salespeople send anywhere from 10 to 40 emails to prospects and customers. Their signature is in every email but rarely does it include a video. Whether you’re in sales or not, everybody in 2018 should have a video in their email signature. It should be a short bio talking about whom you work with at your company, the problems you solve, your interests outside of work, and how excited you are to work with customers. The bio video can be 60, 90, or 120 seconds. 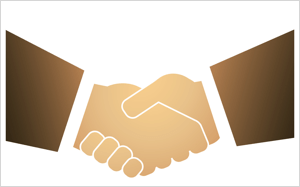 It’s about this simple premise: Prospects should see, hear, and know a company before they talk or meet. To create an email signature video, first create the video and upload it to YouTube. In his video, Marcus might say, “Hey, it’s me, Marcus, from IMPACT. Why am I in your inbox?”, and then explain what he does like he’s having a conversation with the recipient. Then to add the video to your email signature, Marcus recommends WiseStamp. A tool like WiseStamp is better and easier than adding a YouTube link to your signature, because WiseStamp pulls the video from YouTube and adds all of your social icons to create a professional-looking presentation. The video won’t play automatically, and Marcus says you’ll be blown away by how many people watch a video embedded in your email signature. When you use the free version of WiseStamp, the text “Created by WiseStamp” will also appear in your email signature. The Awesome version, which includes other benefits, costs $6 per month. In addition to WiseStamp, you can find more advanced tools (like Sigstr), which integrate into your marketing automation. Landing Page Videos. A video on a landing page can increase conversions by 80% or more. Most landing pages ask people to fill out a form to receive an ebook, guide, white paper, webinar, or price quote. A video on the landing page offers further visual (psychological) confirmation that your prospects aren’t making a bad choice by giving you their private information. For example, if you go to the contact page for The Sales Lion (which merged with IMPACT at the beginning of 2018), you’ll see a funny video that gives people a great sense of the company’s style. They’re fun and don’t take themselves too seriously. Videos on any landing page at River Pools use the same approach. Whom You’re Not a Fit For. Marcus originally created this type of video for The Sales Lion, and since then, the not-a-fit video has been incredibly successful for his clients, too. The video can help you stand out from the competition and build trust with prospects. Every company says who they are, whom they serve, the problems they solve, and their solutions. With the not-a-fit video, the idea is to stand out by creating an honest and transparent video about whom you aren’t a good fit for. When you’re willing to admit that you may not be a good fit for a prospect, you become dramatically more attractive to those for whom you actually are a good fit. In this video, you might say, “If you’re looking for this, this, and this, well, then we might not be the best fit for you.” On your website, place this video in the About area. You also want to integrate the video into your sales process early. In this scenario, the video’s benefits are two-fold. First, although the video is short, people still have to spend time watching it. When people aren’t interested enough to even watch the video, you eliminate a potentially really bad sales call. Second, those who do talk to you already know your face and voice. In that first sales call, nothing is worse than a prospect who’s fundamentally ignorant about you, your company, and the problems you solve, or when they just ask really basic questions. Listen to the show to hear how a short video showcasing the Social Media Marketing Industry Report has affected downloads. The majority of people in an organization can be very effective on-camera, although most believe they’re not. Indeed, you shouldn’t ask people to jump right into speaking on-camera because that sets them up to fail. However, Marcus stresses that most people have a teacher inside them and can learn to perform well on-camera after only 2 or 3 hours of training. Through his training of sales teams and subject matter experts, Marcus has seen people develop their inner teacher and public-speaking abilities in a short time frame. As part of this training, Marcus shares two major rules he gives clients. First, when you start a video take, whatever happens, you can’t stop. Whether you flub a word, spill water on yourself, or your fly is down, keep moving forward. If somebody knows they can stop, they stop a lot more because they have a safety net. The second tip is you can do the video take again. When you go through the entire take, you work out the kinks. Then if you don’t feel great about how you did, record the video again. There’s power the second or third time. Generally, if you don’t get a good video by the fourth try, just move on. Often, when a subject matter expert starts trying video, they’ll do multiple takes in the first 15 to 30 minutes. Speaking on video is a muscle; it’s like exercise. As they proceed, they get stronger and faster. After about 20 or 30 minutes, they start presenting their material in one take. The confidence builds. The same is true for public speaking. You might feel a little bit disjointed during the first 5 minutes but then you develop a flow. Next, I talk to Marcus about other tips for speaking on-camera. Marcus says people can improve their on-camera presence by thinking of the camera as a prospect or customer. Most people will say they’re not good on-camera, but when you ask a salesperson or subject matter expert if they’re good with people, almost everybody says yes. So just thinking of the camera as a person helps people become much more effective speakers. Similarly, interviewing your expert or salesperson on-camera is also helpful. An interviewer facilitates the conversation, and when the expert starts to struggle, the interviewer jumps in to give the expert a second to recover. The interview format is the easiest way to help somebody build confidence because most people don’t do great alone on-camera from the get-go. Preparation is also important. Share questions and have conversations with your on-camera speakers ahead of time. You want to put people in a position to succeed, so they deliver a great product and have a great experience. Anything you can do to facilitate that process to make it better, smoother, and easier (and lessen that learning curve) is a wonderful thing. Marcus cautions against using a script; it can kill the video. When you try to script an entire take, the preparation usually takes more time. Plus, the result looks robotic, and the person is more nervous. The only scripting you should do, if anything, is create an outline of topics you want be sure to cover. This lack of a script makes the sales aspect of your videos more authentic. When was the last time you scripted a conversation with a customer? They ask you questions. You give them answers because you’re a subject matter expert. That’s how it works. The video should provide a similar experience. Listen to the show to hear how I prepare to do my podcast interviews. Everybody wants to talk about company culture these days, Marcus shares. Including your team in company videos enhances the culture. Furthermore, individuals feel a stronger sense of ownership with the brand. Some companies worry that featuring employees on-camera will attract headhunters or other opportunities and employees will leave. However, with LinkedIn, you can’t hide your employees. Instead, think of building your employees’ brands as aligning them with your own. That’s what Marcus did with George B. Thomas and Zach Basner at The Sales Lion and what he’s doing now with team members at IMPACT. Highlighting employees can also help you attract great new employees. People notice when a CEO highlights their team and wants to build a brand around them. People want to be a part of that supportive company culture. Marcus has experienced that firsthand. Listen to the show to learn my thoughts on featuring employees to expand what the company can do and improve sales. 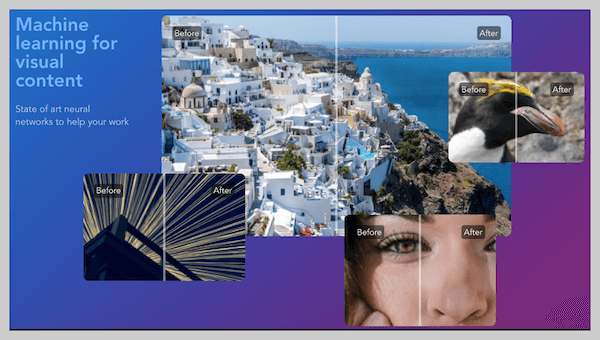 Let’s Enhance is a free online tool that scales images up to 4x without visibly degrading the image quality. Typically, when you enlarge an image, it can become blurred and pixelated. However, Let’s Enhance uses neural network technology to fill in the missing details and retain image clarity. You could use Let’s Enhance to blow up small thumbnails. Or say a designer created an image for you but is no longer available and you can’t find the original graphic. If a low-resolution version of that file is on your website, you could use Let’s Enhance to recreate a higher-resolution file from the web-optimized one. Let’s Enhance is a web-based tool, so you simply go to the website and upload an image saved on your computer. The tool then analyzes your image and kicks it back for you to download. The results are amazing. Listen to the show to learn more and let us know how Let’s Enhance works for you. Learn more about Marcus on his website: MarcusSheridan.com. Check out The Sales Lion and IMPACT. Read They Ask You Answer. Learn about River Pools and watch the River Pools YouTube channel. Read more about the increased value of video. Explore WiseStamp and Sigstr for email signatures. Read about the benefit of video on a landing page. What do you think? What are your thoughts on using video content to sell? Please leave your comments below.